There will be a meeting of the Legion of Mary in the Community Centre on Tuesday 3rd July at 7.30pm. New members and anyone interested are welcome to attend. 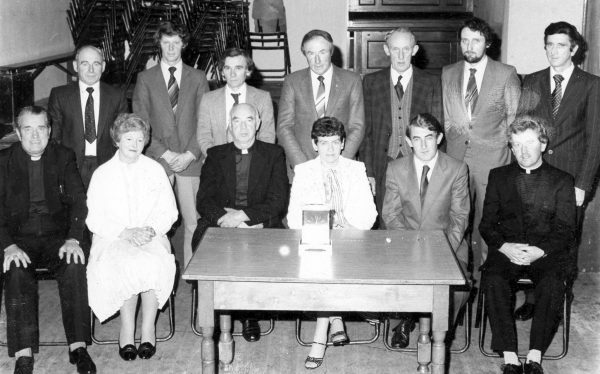 Linda O’Connor Memorial Tournament is due to take place at 2pm on this Saturday June 30th. Huge congratulations on great quarter and semi final wins for the U12’s last week. U12 County final vs. Portroe to be played on Thursday June 28th at 7pm at the Camogie Grounds, The Ragg. Best of luck girls. 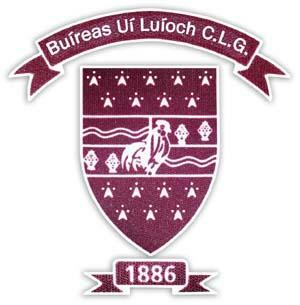 U10’s – Upcoming County Blitz’s as follows: June 30th in Burgess Duharra GAA grounds, July 28th, August 25th & September 29th. Our Seniors will play the final group game of the 2018 “Tipperary Water” County Senior Hurling League they take on reigning County Champions Thurles Sarsfields in Round 5. The game will take place this Wednesday evening the 27th of June in the Outside Field in Thurles at 8pm. We require a victory in order to progress to the latter stages of the competition. Best of luck to both players and management, all support greatly appreciated. Hard luck to our Junior ‘A’s who were defeated by Toomevara in Round 2 of the North Junior ‘A’ Hurling Championship last Sunday. We went down on a score line 2-17 to 1-11 in the energy sapping heat in Dolla. With little between the teams early we found ourselves 0-04 to 0-02 up after making a bright start to the game thanks to pointed frees from David O’Connor, Ryan Murphy and Jody Harkin. But we missed a number of good point scoring opportunities in this period which would prove crucial as Toomevara went on to out score us six points to one for the remainder of the half as they went in up by three at the break with scoreboard reading 0-08 to 0-05. Once again we started the second half brightly narrowing the gap back to one thanks to some fine scores from Jody Harkin, Nicky Cooney and David O’Connor before a fine finish to the back of the Toomevara net from Micheal Carey put us in the driving seat with the score at 1-08 to 0-09. But much like the first half we didn’t push on when the momentum was in our favour and in the space of five minutes Toome turned a two point deficit into a five point lead leaving us with a mountain to climb going into the quarter. A second Toomevara goal late on from Alan Ryan in injury time made sure of victory for Toomevara as they ran out 9 point winners in the finish. A tough defeat to take but one they have the perfect opportunity to bounce back from when they take on Nenagh in Round 3. This game will take place this Friday evening the 29th of June in Templederry at 7.30pm. Best of luck to all involved. All support greatly appreciated. Tickets are now on sale for the Munster Minor and Senior Hurling Finals on Sunday week in Thurles. Tickets can be purchased from Shanahan’s(or most centra shops) and on Tickets.ie. At the minute there is still no word from the County board if clubs will be getting any allocation so I advise anyone interested in going to get their tickets at these sources as soon as possible to avoid disappointment. 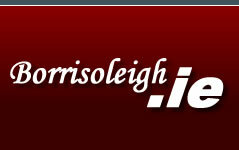 Borris-Ileigh V Moneygall-Clonakenny in Borrisoleigh @ 7pm. Borris-Ileigh V Nenagh in Nenagh @ 6.45pm. Borris-Ileigh V Nenagh in Nenagh @ 7.30pm. Well done to all of this weeks lucky dip winners. Next Weeks Jackpot is up to a nice €8,800.